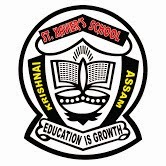 Applications are invited from eligible candidates for filling up of following posts in St.Xavier's School,Krishnai,Goalpara. Salary: Salary will be commensurate with MERIT and EXPERIENCE. How to Apply:Candidates can send their Application(CV’s) @ sxskrishnai2003@gmail.com or call +91 9435001410 / 9435324424.